FRONT COVER PHOTO: RENTAL PROPERTIES IN GÓJAR, GRANADA. ARCHITECT: ELISA VALERO. CLADDING: GLOSS UNDULATED CERAMIC TILES BY DECORATIVA. CREATING THE NEW VINTAGE WITH CERAMIC Fashions change, come back again, make references to and even re-create styles from the past. It is a well-known fact that opposite worlds like those of fashion and economics have one thing in common: they are cyclical. Design also follows the dictates of fashion and, naturally enough, decorating with ceramic tiles does too, reviving past trends and rediscovering appealing features from way back. personal touch but nonetheless also relies on top quality materials. It reflects the personality of the consumer in a style marked by elegance and a creative taste that focuses on detail. The techniques available to the ceramic tile industry mean it is possible for any covering to carry a particular image or print and we use this to create a vintage style of our own: 70’s pop, 50’s glamour, the folly of burlesque or 20’s swing. Anything goes. Digital printing onto ceramic tiles enables single, specific tiles to be produced with no loss of the essential strength of the ceramic. What is more, with screen printing several colors can be printed onto the tile, you can choose which color glaze and decor to apply and whether the surface finish should be glossy or matte. Images can be used to create customized panels with such high quality definition in the graphics and colors that at first sight it is impossible to distinguish between real and unreal. Digital printing onto ceramic tiles enables single, specific tiles to be produced. Ceramic tiles can be metallicized, creating eyecatching effects or tiles that are little jewels. he current economic situation has made us think about ourselves, about the mistakes we have made and how to solve them. This applies to all levels of politics, economics, philosophy and society and, naturally enough, to architecture too. Human beings do of course make mistakes but are able to learn from them and find more appropriate alternatives and solutions to enable them to move forward. This is basically what we refer to as the development of thought and, along with it, of behavior. This context is what caused the term ‘social architecture’ to become such a buzzword, yet even today it has a very different meaning to what it meant just a few years ago. In the last decade social architecture simply involved building social housing, which as with many other initiatives created a number of financial strife and conflicts of interest. In fact, ‘social architecture’ is a multi-disciplinary term related to Social Science, Political Science and Architecture and is associated primarily with the relationship between people and their environment, independently of their origin or orientation. In the field of architecture specifically, the term embraces theories as to the importance of creating architecture that attempts to resolve or improve buildings designed by and for all. There is a great interest now to understand, solve and even improve architecture; designing for one and all. This has allowed great success in catering to specific needs and are worthy of being discussed as important architectural models. Ceramic coverings are a frequent choice in this quest to design well conceived architecture that is in tune with what society needs but aims to create grand designs at lower costs. In the last decade social architecture simply involved building social housing, which as with many other initiatives created a number of financial strife and conflicts of interest. Rental housing in Gojar, Granada, by Elisa Valero. Facade and roof coverings in 80x40cm (31”X16”) gloss finish undulating ceramic tiles by Decorativa. Ceramic coverings are chosen where architecture needs to be well conceived and in tune with what society needs yet deliver grand designs at minimal costs. Left: Building 111 by Flores y Prats architects. Multi-colored glazed ceramic tile covering. Phoro: Álex García. Right: Extension to the Nª Sª de Belén Infant Education in Zafra (Badajoz) by Rubén Darío architects. Exterior covering: 25 x 40cm (10”X 16”) red paste ceramic tiles and 10x20cm (4”X8”) ral103 yellow glazed tiles (glazes in the 2nd firing). troduced into the building subtly, through the glazed and the unglazed ceramic tile facades of the two structures at each of the far ends of the extension building. The vitreous yellow of the small tiles laid offset and the reddish of the larger bisque tiles contrast with the white that washes the differently textured tiles both the old and the new ones. Another example of this kind of work is the extension to the “Los Llanos” Adult Education Center in Albacete by Matos-Castillo Arquitectos. In this instance ceramic tiles have been used both inside and outside of the building to great aesthetic effect, in a project that had a very limited budget. Inside the building the blue on the ground floor is a continuation of the color of the exterior skirting. The lobby is over twelve meters (40 feet) high and features a huge mural made of glazed stoneware tiles that gradually change from blue to white as they reach up towards the light. The design of the ceramic tiles gives form to the flat surfaces where they are used. Their curved relief softens the surfaces so they are no longer flat and, instead, shimmer in a very special way as the light changes. Los Llanos Adult Education Center in Albacete by Matos-Castillo Arquitectos. Exterior skirting and lobby clad in blue and white glazed undulated stoneware tiles. Community Day and Activity Center by Flexo Arquitectura. Facade and interior clad in white 10x20cm (4”X8”) tiles by Cerámica Alcora. In all our social architecture projects we see how ceramic tiles help people feel happy in an environment that is along way from nature. ile of Spain has devised a new PR and advertising concept that is more global and focuses on the exclusivity of Spanish ceramic coverings. The campaign was launched officially at a press conference at the last Cevisama trade show to an audience of more than 200 international journalists. The new concept can currently be seen around the world in advertising and promotional initiatives and is being used in association with Spain’s presence at a number of trade fairs and other events in countries including the USA, Russia, Germany, the United Kingdom, France, Italy and India. 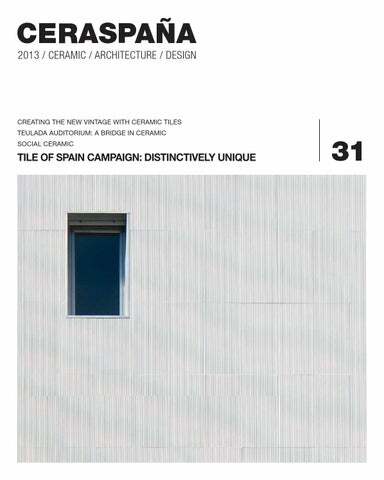 The new Tile of Spain campaign is synonymous with values such as versatility, customization, design and innovation. Distinctively Unique conveys the Spanish industry’s singular ability to create products tailored to the needs of each customer. A CERAMIC BRIDGE BETWEEN TWO WORLDS Mangado’s work stands alongside the great contributions to the history of architecture and his ongoing commitment to education and research have earned him a number of accolades and highest international honors. In 2011 he was awarded an International Fellowship by RIBA, the Royal Institute of British Architects and more recently, in February this year was granted an AIA Honorary Fellowship by the American Institute of Architects for his significant contribution to architecture and society. in its product. An industry that has managed to make us architects consider ceramic as a material that offers infinite possibilities.” These are not just empty words: his thoughts are expressed literally in a number of exemplary projects that span his career. Teulada-Moraira Auditorium. Architect Francisco Mangado. Ceramic covering. Photograph by Juan Rodríguez. this he returned to and reinvented a traditional material: ceramic tile, making a virtue out of necessity. In the Auditorium he once again gives a major constructional role to tiles, making this project yet another exquisite example of good architectural use of ceramic. Mangado’s design creates a kind of bridge between the two hubs, Teulada on the mountain and Moraira on the coast. Separate locations though governed by the same authorities, they nonetheless seemed to be part of the same territory, landscape and culture. Francisco Mangado underscores the pivotal role the ceramic tile industry has played in extending and improving awareness and understanding of the architectural applications for the product. from both towns and is in a sense a symbol of urban unity that, while not based on a physical continuum is nonetheless based on territorial, geographical and, of course, cultural closeness. The guiding principle behind the Auditorium was that the building should adapt to the natural lay of the land, which runs south west downhill, and create main access areas around the north east and south east perimeter. These have been deliberately placed in such a way to afford views of Moraira and the sea. Although the interior of the building is simple in terms of the different rooms and service facilities offered, the way the rooms have been arranged and placed is the most original and substantial element of the entire project in that they are ranged along the south facade overlooking the sea. rooms are unusual in terms of their shape and where they are located. On the one hand it evokes a stony beach that from a distance and because of its depth, appears to merge with the sea. At night this huge facade becomes a theatre curtain that once lit resembles a lighthouse between the road joining Teulada and Moraira. It could be said that this lateral facade represents the intensity projected in this structure. Teulada-Moraira Auditorium. Architect Francisco Mangado. Ceramic covering. Photograph by Roland Halbe. of the Tile of Spain brand. With the support of ICEX - Spain Trade and Investment Institute, ASCER has developed a very contemporary design that reflects quality and innovation the features that Spanish ceramic tiles aim to be known for. The app will again no doubt be well received at the Italian fair by the professionals who visit as it is easy and quick to use and provides full information on the Spanish exhibitors (new products, images, stand location, contact details, maps). It also includes filters enabling you to search for companies by name, sector and hall and even features the opportunity to share information on social networks and by e-mail. The Cersaie ‘13 app includes the following features, among others: - Company listing: navigate through the list of companies and filter alphabetically or by sector. 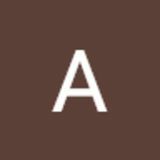 - Quick search by company name. - Selection of favorite companies to make it easy to list together and organize your visits. UPCOMING EVENTS As has become the norm in recent years the second half of the year is packed with different promotional events that ASCER and Tile of Spain carry out internationally, especially in countries that offer significant prospects for growth. foremost fair for architecture, construction and engineering and is organized every year in the country’s five main economic zones. Last, November will see Spain exhibit at The Big 5 2013. This will be the 33rd edition of this fair, which is the leading event for the construction industry in the Persian Gulf and a major attraction for visitors across the Middle East.